A grade 12 student from Westwood Community High School has been shortlisted for a prestigious scholarship. Dhruv Patel is a finalist for the Loran Scholarship award, a national honour worth up to S100,000, given to a selection of students across Canada for excellence in community service and outstanding character. Patel tells Fort McMurray News it means a lot to be considered one of the country’s brighter young minds. 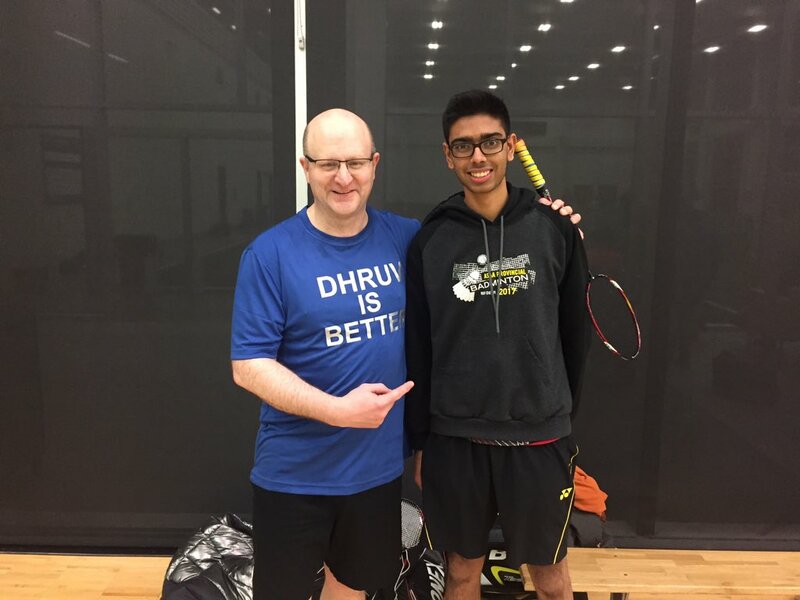 Patel’s become quite accomplished as a badminton player, even topping Mayor Don Scott in a recent friendly match. There are over 5,000 applicants for the award this year. Out of those applicants, 88 finalist head to national selections, which takes place on February 2 and 3, in Toronto. Only 34 applicants will receive the award, which spreads over four years, in “mentorship, funding for summer internships, a weeklong orientation expedition, annual retreats and other scholar gatherings." In addition, the 17-year-old is on MACOY, the Mayor’s Advisory Council for Youth, and he’s also quite crafty with technology. Patel says he’s recently been working on a transit tracking app, something he feels bus users in Fort McMurray, desperately need. Tulk adds that Patel’s involvement with MACOY, allows him to be a prominent voice for local youth and that he was also part of an IT internship within the community, this past summer. She feels Patel’s commitment to his community and his education as well as the education of others, is a prime example of why he’s deserving. “At school, Dhruv is one of our math peer tutors; and part of our math leadership program. He has been active in science fairs and taken AP classes throughout his time at Westwood. His character, leadership and service to our school and region are evident in all he does. We are very proud of Dhruv’s accomplishments,"
Westwood Principal, Cynthia Shelley notes Patel has been a shining star in his time at the school. "While Dhruv has attended Westwood, he has been involved in a wide range of programming options, which have helped him reach his leadership potential and show his true community spirited character." “We are so very excited for Dhruv and wish him all the best in his path to becoming a Loran Scholar, and potentially a recipient of a $100,000 scholarship." Fort McMurray Public School District Superintendent, Doug Nicholls also extended his congratulations. “Dhruv is clearly an amazing student and a top ambassador for the Fort McMurray Public School District and our community. Our District wishes him the best through the final part of the application process but, we know that regardless of the outcome, Dhruv will be a successful leader in whatever he pursues in the future." Patel will be in Toronto for the scholarship’s interview process from February 1-3. Final selections will be announced on February 4.